Ghosn, who has Lebanese roots, was born in Brazil and is also French citizen. Beirut - Lebanon's foreign ministry said on Tuesday it would stand by Nissan and Renault boss Carlos Ghosn, who is of Lebanese descent and holds Lebanese citizenship, a day after his arrest in Japan on financial misconduct allegations. France moved on Tuesday to oust Ghosn from the helm of Renault but sought to defend the carmaker's alliance with Nissan, which has been rocked by the scandal..
Lebanon's caretaker Foreign Minister Gebran Bassil has asked the ambassador in Tokyo to meet with Ghosn and follow up on the case, the ministry said in a statement. "Carlos Ghosn is a Lebanese citizen who represents one of the Lebanese successes abroad and the Lebanese foreign ministry will stand by him in his adversity to ensure he gets a fair trial," it said. Ghosn, who has Lebanese roots, was born in Brazil and is also French citizen. The downfall of Nissan Motor Co. Chairman Carlos Ghosn reverberated for a second day as politicians and executives scrambled to fill the vacuum at the top of the world's largest car alliance amid new reports about his alleged financial improprieties. Renault's board is convening for a crisis meeting tonight in Paris to discuss the future of the Renault-Nissan car alliance. While the French government, which owns 15 percent of Renault, isn't demanding Ghosn's formal dismissal, he is no longer in a position to run the automaker, Finance Minister Bruno Le Maire told French radio. 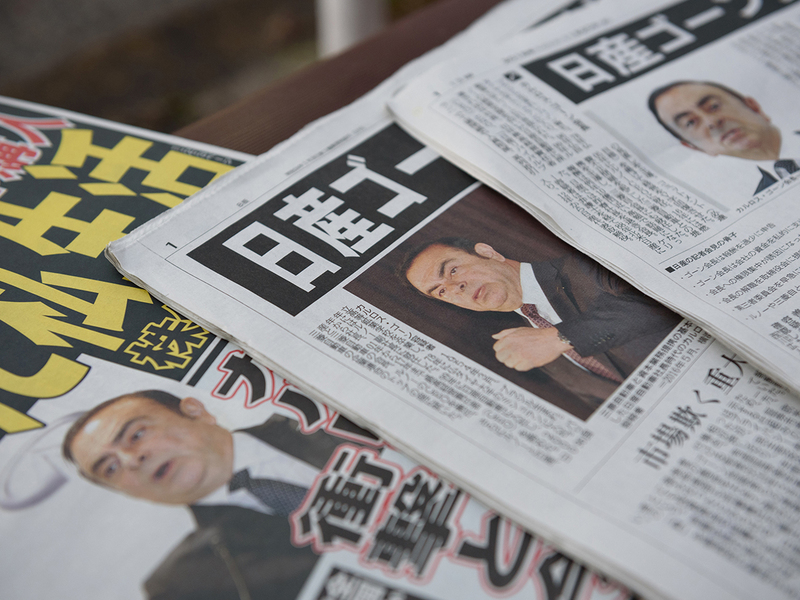 Back in Japan, where Ghosn has remained in custody since his arrest Monday, more details of his alleged transgressions began trickling out in local media. Combined, they painted a picture of an executive who dipped into company funds to bankroll a lavish lifestyle, from luxury residences dotted around the globe to money funneled into investment funds and family vacations. Ghosn hasn't been seen in public and hasn't responded to the allegations. The revelations, which followed a months-long internal probe, put key stakeholders in a bind because there's no obvious successor. 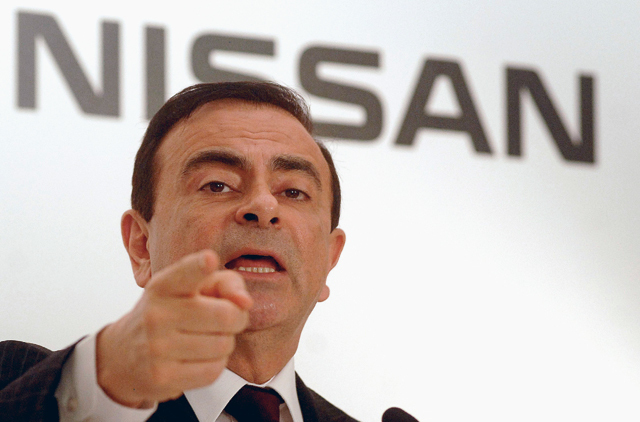 While all sides rushed to assure that the alliance was solid, Ghosn was the linchpin holding the partnership together. 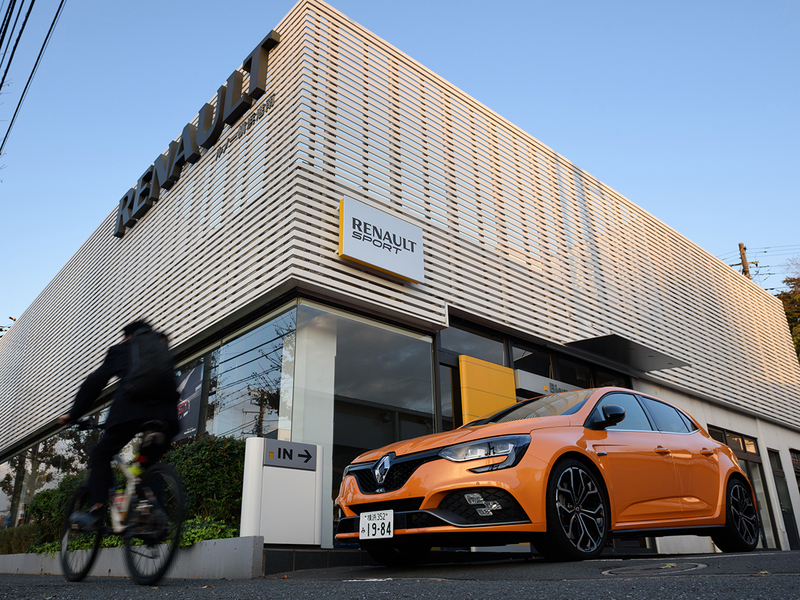 The French government, in particular, signaled it will protect Renault, which has benefited hugely from its participation in the French-Japanese pact. Le Maire said he will meet with management of Renault and state representatives on the board of the company to put in place interim governance. Already yesterday, President Emmanuel Macron said he would remain "extremely vigilant" regarding the stability of the Renault-Nissan alliance. One immediate step will be to fill the post of Renault CEO, which might fall to Chief Operating Officer Thierry Bollore, whom Ghosn himself had previously called a "good candidate" to eventually replace him at the French carmaker. Bollore will be proposed at the meeting tonight as Renault's interim leader, together with Philippe Lagayette, an independent board member, as non-executive chairman, according to people familiar with the plan, who asked not be identified ahead of the meeting. Le Maire said the government will seek evidence from Japanese authorities, after the French side was all but blindsided by the probe and subsequent arrest Monday. The board of Renault and the Macron government were both caught unaware by the allegations, according to people familiar with the matter. A Renault spokeswoman declined to comment on the minister's plans. In a memo to employees sent on Monday, Bollore expressed "full support for our chairman and CEO," calling the alliance an "industrial gem that must be protected and nurtured." Renault confirmed the content of the letter, which was cited in full by the Financial Times. At a late-night press conference in Tokyo Monday, Nissan Chief Executive Officer Hiroto Saikawa declined to give details on the charges, only saying that had both understated his income and misused company funds, including expenses and investment funds.